Stone Harbor Beach Access threatened ? 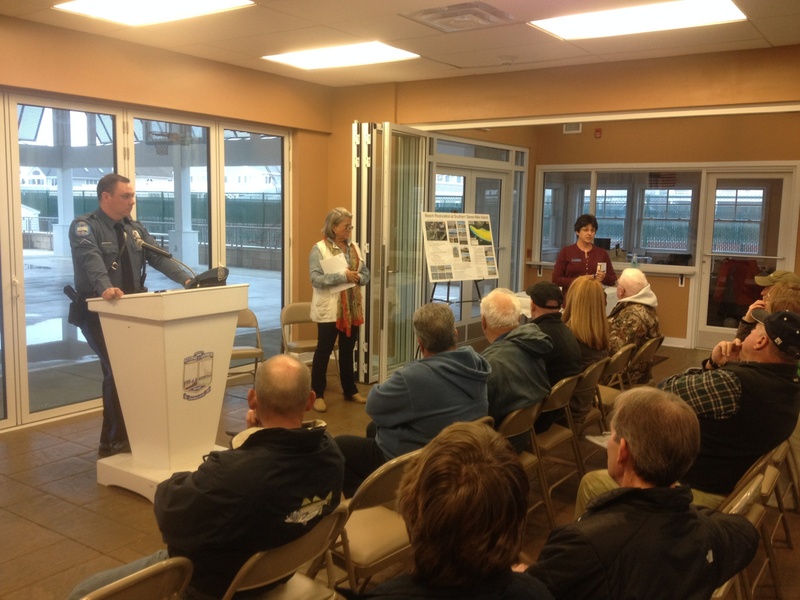 Stone Harbor Mayor Suzanne M. Walters opened the well attended meeting. She reassured everyone that beach access to the 100 acre 1.5 mile stretch of pristine beach would remain open to fishermen, at the same rate. Rumors of a beach closure circulated among the saltwater fishermen fraternity and beach walkers for weeks. Many speculated that a recent bird habitat enhancement project in the area, would result in a complete closure of beach access. Many traditional fishing spots have already been closed in the area. For this reason, awareness is up when it comes to beach access issues. Mater of fact, the entire western portion of Stone Harbor point beach has been closed, posted and fenced off. Fishermen returning to fishing spots they fished for decades have been threatened with arrested. Council woman Rich said, that Stone Harbor owns all the land in the point area. However, they do not post the signs, the state does? . The New Jersey endangered and non-game chief biologist determines what areas of the beach are closed to the public. Her decision is based on nesting sites of endangered and threatened birds. Does closing the beach really increase the success rate of the nesting birds? Can most of the nesting failures be linked to natural predation,including cats and dogs? If 95% of the nesting site failures are unrelated to humans, why close public access to such a large part of the beach? The public trust doctrine protects access to all areas below the high tide line. The signs and metal posts have been put up so far below the high tide line, that they are a navigational hazard. Traditional recreation use of public beach area is also protected under the law. Beware, tickets are issued in complete disregard of this law. Where I live feral cats are a big problem. I haven’t heard a quail call in years. But, people often get upset at the only way to control the problem effectively. Witness the cat problem in AC. The way they are dealing with it is to feed them! I haven’t been there in awhile though. Maybe that has changed. Brian, I had the same cat for twenty years. She killed a truck load of wildlife over the years. Stone Harbor claims they have no say, on the posting of their property? New Jersey has some insane laws, but not being able to walk on your own property!